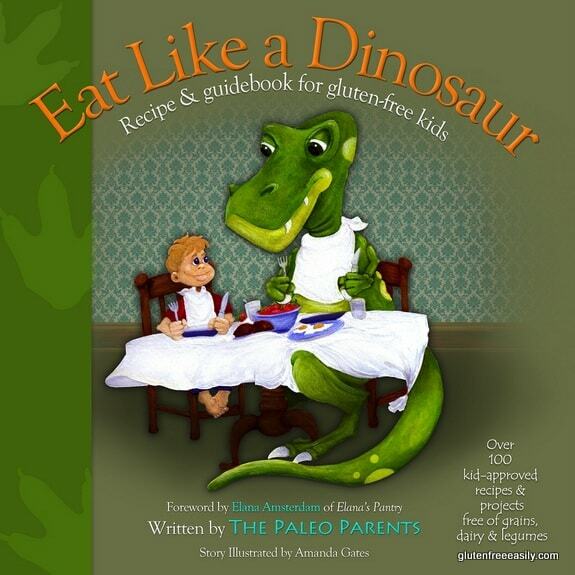 Thanks to all of you who entered the giveaway for Stacy Toth and Matt McCarry’s—better known as Paleo Parents’—truly terrific Eat Like a Dinosaur: Recipe and Guidebook for Gluten-Free Kids. While this book was written with kids and families in mind, many single individuals have fallen in love with it as well. Congratulations to the following winners! I’ll be contacting you via email soon. Note that the comments I’m sharing might not be the entries that actually were the ones chosen by the Pick the Giveaway Winner tool, but these comments were also ones from the winners and best tell why they entered to win a copy Eat Like a Dinosaur. Congratulations again to all! Be sure to follow Paleo Parents. Oh, by the way, if you haven’t already heard the news, they’re writing their next book to be released in 2013—yippeeeee for us all! YES YES YES!! I needed some happy news, and for me, a great book is indeed that! Thank you Shirley~! I have got more grain free goodies coming your way soon too…. Hi Christopher–Oh, your kids will love holding the actual ELaD book so much better than your Kindle. 😉 So happy for you all! Thank you so much for choosing my family to receive a copy of the book! Paleo has been a difficult road for us due to finances and my children having a difficult time adapting. I know that getting my kids involved and excited with a book like ELaD is the key to giving them the gift of health. 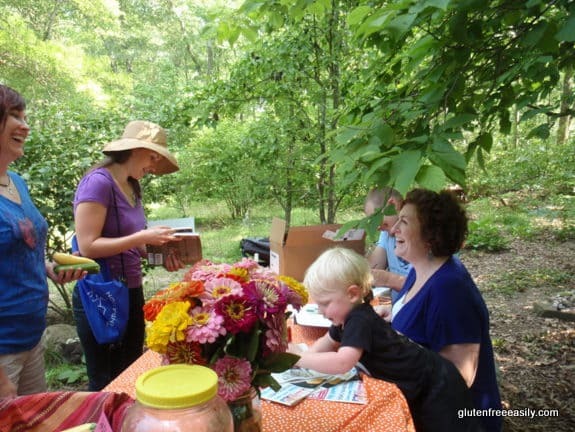 The Paleo Parents have been a huge inspiration to me and I am so grateful for their guidance as well as for great online resources like Gluten Free Easily! You guys are amazing! Thank you again! Wow this is great news. I am looking forward to new gf meal prep ideas and sharing the book with my son. Hi Maryn–I hope you both will love ELaD! Congrats again! Hooray! I am super excited 🙂 My kids recently began to take an interest in cooking, so with that and wanting to transition them into more Paleo foods…this cookbook is the perfect start! I am already gf and I love gfe and all that you do. Thank you to Shirley and thank you to Paleo Parents! Hi Robin–Oh, yes, it does indeed sound like a perfect time for you to get ELaD! 🙂 Many thanks for your kind words, dear. I know Stacy and Matt will appreciate them, too! Congratulations to all the winners of a great book!